Learning Japanese isn't easy. It takes years of hard work and determination—great resources. Luckily, it's easier to learn Japanese now than it's ever been thanks to the amazing resources available to all of us in the Internet world. You don't have to spend hours in a librarys, sticking your head in old, musty books (unless you want to). We know how difficult it can be to find well-made, reliable resources to learn, study, and practice your Japanese. As more content appears, it becomes harder and harder to tell what's worth your time and what isn't. You don't want to waste time you could spend studying on digging through piles of garbage. So stop taking chances on random books, apps, and subscriptions you may or may not actually use. Instead, take a look at our monthly series! 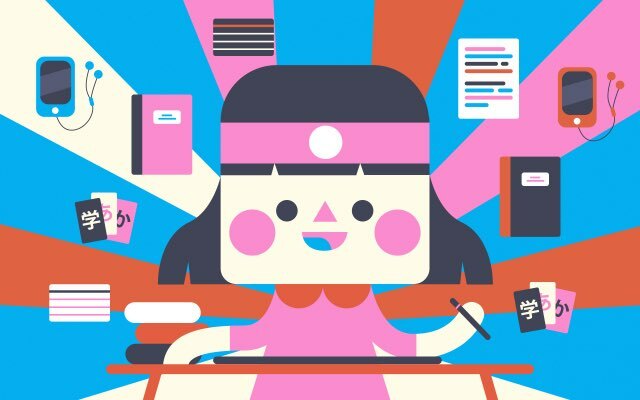 We make a list of all the new resources for learning and practicing Japanese each month and cut it down to the very best. There could be a ton or just a few. They could be beginner, intermediate, or advanced. Maybe they're free! Who knows?! If you're on the hunt for your next website, app, book, game, or what-have-you, scroll on down and enjoy. P.S. If you find a new Japanese learning resource that you think is the bee's knees share it with us on Facebook, Twitter, or Email.